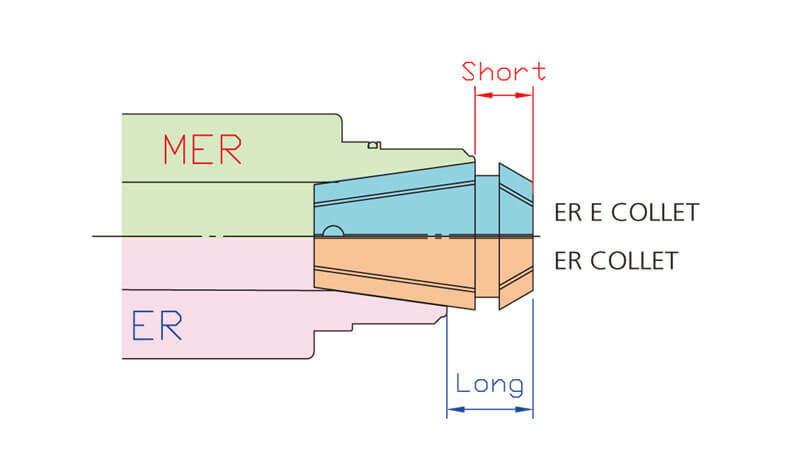 MER has more contact area between holder and collet to make better radial cutting force than standard ER. 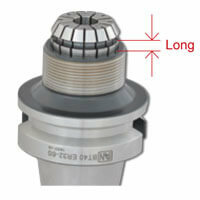 Special design of MER High speed bearing nut, the clamping power is better than Standard ER type. 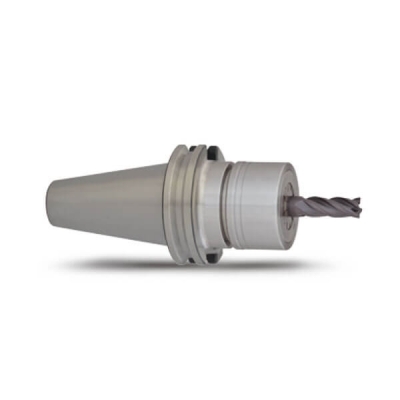 MER system are suitable for high speed and high precision cutting. 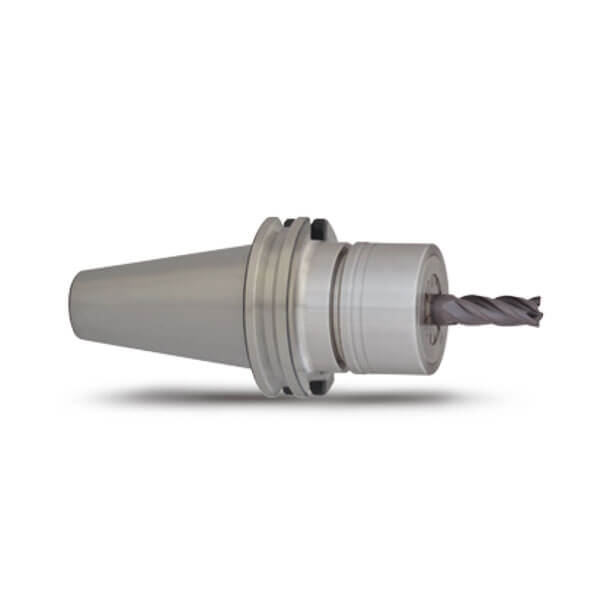 Suitable to use with ER-E type collet, the cutting condition will be excellent. 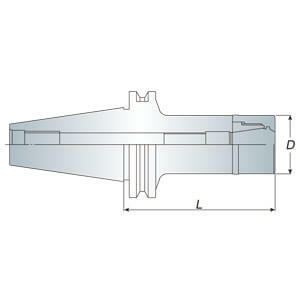 WER..G bearing wrench must be ordered separately. The design of deeper gauge line for MER holder. 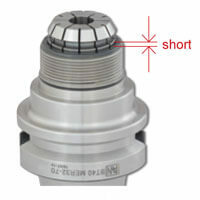 Recommend using ER-E type collet into the body (holder). 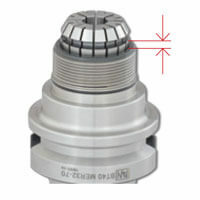 The increasing length of contact area between collet and holder for improved clamping force.